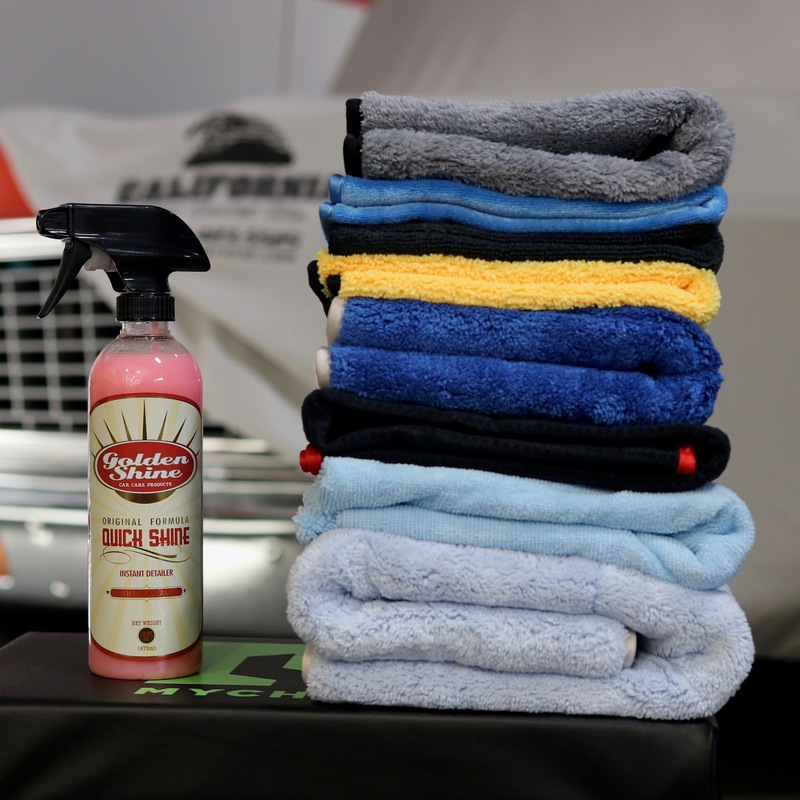 Can you ever have enough microfiber towels to detail to your vehicle? The options do seem endless. At California Car Cover, we think we have found an excellent variety of microfiber towels for different applications around your vehicle. From the basic to the specialized microfiber towel, we have you covered. Our most popular microfiber towel is the grey Quick Shine Detailing Towel. This ultra soft towel has a 460 gsm density so it is ideal for final finish detailing. We sell them in a pack of 3 or a detailer's pack of 10. For cleaning soft leather and delicate upholstery we suggest the Ultra Fine Interior Detailing Towels. These blue microfiber towels are lightweight and have a tight knit to prevent linting and scratching. Our All-Purpose Microfiber Towels are perfect for tackling dirty jobs around your vehicle or garage. The 305 gsm towels are denser than what you would typically find at your local auto parts store and are a great value. The towels are sold in a 6-pack or detailer's pack of 30. Not all microfiber towels are ideal for the application and removal of car wax. The Premium Polishing Towels are specially designed to do just that. Each side of this 360 gsm towel has a different texture that is optimal for applying or removing wax and polish. If you like thick and plush microfiber towels, then the Extra Thick Microfiber Towels are what you need. These towels are a thick and dense 1100 gsm. The towel is great for use as a detailing towel with your favorite detail spray. It is also excellent for absorbing water. The thick towel does a great job drying tight spaces around your car like the grille and door jambs. Another towel that definitely soaks up the water is our California Waffle Weave Towel. This large towel is a super soft 400 gsm microfiber towel specially designed to soak up water. Its unique waffle pattern aids in water absorption so you do not need as many towels each time you wash your vehicle. The Waffle Weave Towel can be washed and dried like your other microfiber towels too. Looking for an extra large detailing towel? When a standard 16" X 16" soft microfiber towel won't cut it, the Edgeless Detailing Towel is the solution. At 25" X 36", this 360 gsm towel is lightweight, but extra soft for detailing large areas. Lastly, the Ultra-Thick Dual Plush Towel is a super soft and absorbent detailing towel. Excellent for drying, this dense 1200 gsm microfiber towel is perfect for quick washes and wipe downs. 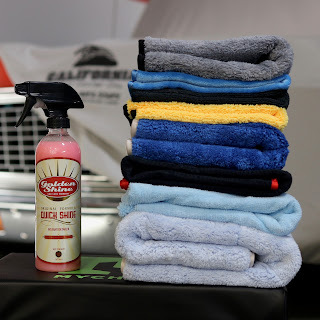 All of these great microfiber towels, and tons of other excellent detailing products, can be found at California Car Cover's website, calcarcover.com.